The desert, the crowds, the art, and fire – the annual Festival draws me like a magnet, yet I’ve never gone. Building in scope and power since 1986, over 70,000 people trek into the desert each year to breathe life into a temporary utopian ideal. Many more of us harbor the same spark of rebellion and creativity but have never attended or ever will. 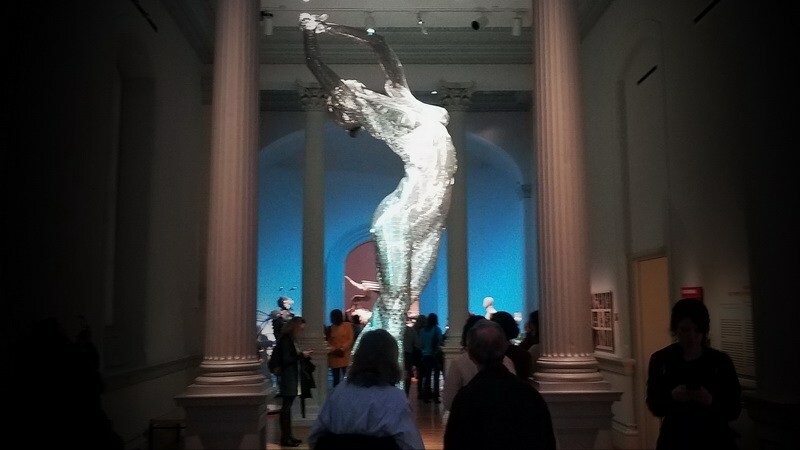 The Renwick Gallery, No Spectators exhibit, a wide-ranging Burning Man art installation, offers another way to get into the festival spirit. Most Washington visitors head out to see the White House and tour the monuments but on my first morning in DC, I was on a mission to find that gallery. The Renwick building is a National Historic Landmark and the first built expressly as an art museum in the United States. It’s considered one of the first and finest examples of Second Empire architecture in America. The gallery is also home to the Smithsonian American Art Museum’s program of contemporary craft and decorative arts. A bit lofty for Burning Man but I guess he’s arrived. I walked up the steps of the classic building and into a visionary daydream as the entire austere gallery was relinquished to Burning Man culture. It was also a far cry from the immersion that the Festival must be. This was a heady transfer from desert mayhem into high art. Still, it was thrilling to walk through, recline, listen and sit in the various spaces. Each room led to another set of experiences all drawn from the decades of Burning Man art installations in the desert and several created specifically for this space. At the entrance of the exhibit, visitors pass through a tall arch. The surface is covered in paper cutouts and embellished with paint. Paper is an ephemeral medium for a sculpture. It’s mind-boggling to realize that while the arch fills the gallery room it’s a small part of the original piece. Look to the lower left in the picture below and you’ll get an idea of what I mean about the scale of that desert creation. The desert demands attention. Surviving dust storms, intense heat, and chilly nights while navigating through a temporary city can crimp one’s style. Still, each year Rock City citizens outdo each other with their finery. Their whimsy flourishes too. Is a sacred place for memorial and reflection. Its intention is to bring healing to the world and it was built by many hands – all who had lost something. 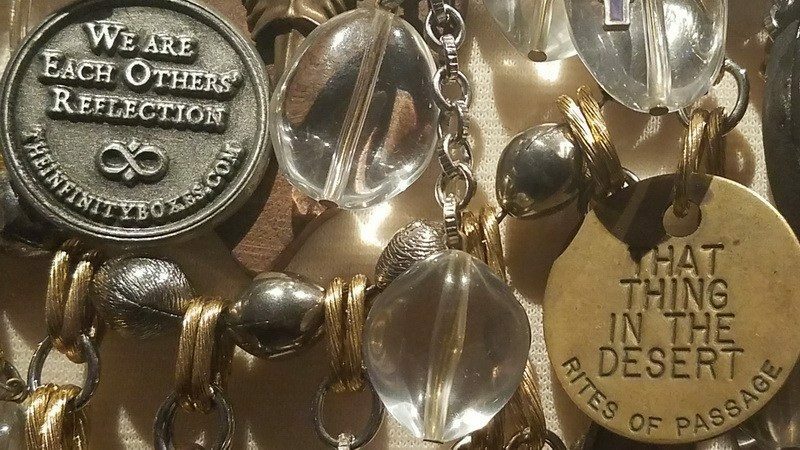 Many places exist for celebration, but few places are created to honor the universal human experience of grieving and loss. This is such a place. Please respect it for its solemn purpose. If you wish to leave a memorial or testament meaningful to you, please write on the blocks of wood provided. The show is not all serious and high falutin’. There were morphing giant Mushrooms! A dragon cart embellished in cake tins and eye wheel to spin. (See it all in the video below) A movable movie theater showed a nuevo-retro, who-done-it and one room was illuminated by an electronic star which morphed above our heads as we lay on round pillows. The best of sound, light and robotic technology flowed through the spaces. I can only imagine how magical they must’ve been in the desert. I guess I’ll just have to go to Rock City to meet him and see for myself. The festival website has maps, plans, and directions. Have you been to Burning Man or this show? I’d love to know about your experience. Leave a comment below. I had heard of the Burning Man Festival, but didn’t know much about it until I read your article. Thank you for great information and photos!! I’ve always wanted to go to Burning Man, and got close one year, but to be honest, it’s all about the art. We are heading to this area in October and I will DEFINITELY check out this gallery!! I recall hearing of this some time ago but don’t think I knew anything about it until this post. Thanks for fabulous photos and a great narrative — most enjoyable read! Wow,, this is really cool and i hope I get to see the exhibit. That’s more likely than my finding my way to Burning Man. Perhaps the show will resurface elsewhere later? It at least hints at the scale and drama of the event itself. I’ve heard so much about Burning Man but like you, I’ve never had the urge to go to this yearly ritual. Thanks for sharing this so we can get a feel for it. I knew someone who never missed it, but l still don’t “get” it :-). I live seeing photos of Burning Man but I’m not likely to go. This exhibit at the Renwick Gallery looks like a perfect way to get a glimpse of the spectacle without the dust. Fortunately for me DC is close by so The Fenwick Gallery is now on my fall travel list. Thanks! This is really cool – I’ve been hearing about this installation lately. 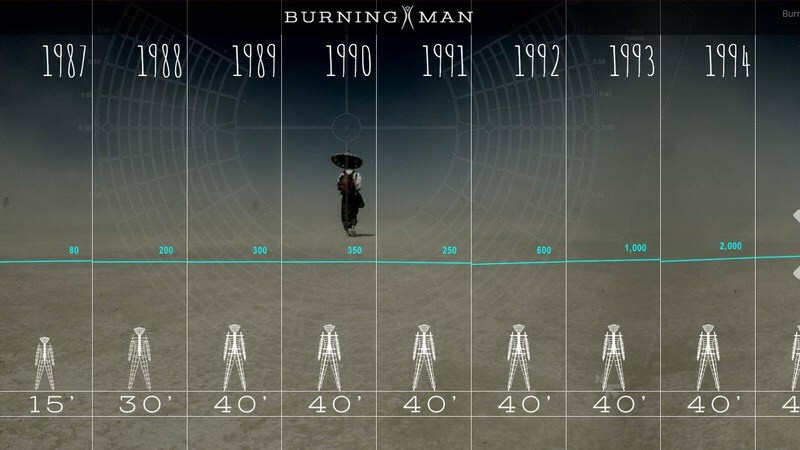 Burning Man is very high up on my list – really want to get there one day and it’s usually right around my birthday! Love that this installation is bringing a little Burning Man to the masses. 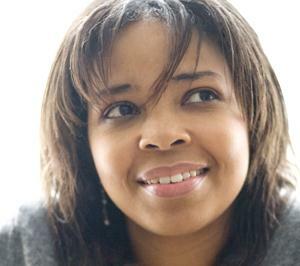 Love this post and all your pictures, Elaine! A good blogging friend of mine, Curt Mekemson, often writes about Burning Man. I think he’s made it an annual trek. Everytime I see and read what he shares, and now see an additional perspective of it from you, I feel like I’ve waited long enough. I NEED TO GO!!! I have friends that go to Burning Man every year, it is not really something that I want to do, but I love observing the “event” via photos and stories. I’ve donated jewelry in the past for my friends to giveaway and I always giggle knowing somebody is running around the desert with something I used to own! Elaine, I find Burning Man fascinating as well, but like you, I don’t really see myself attending the festival. 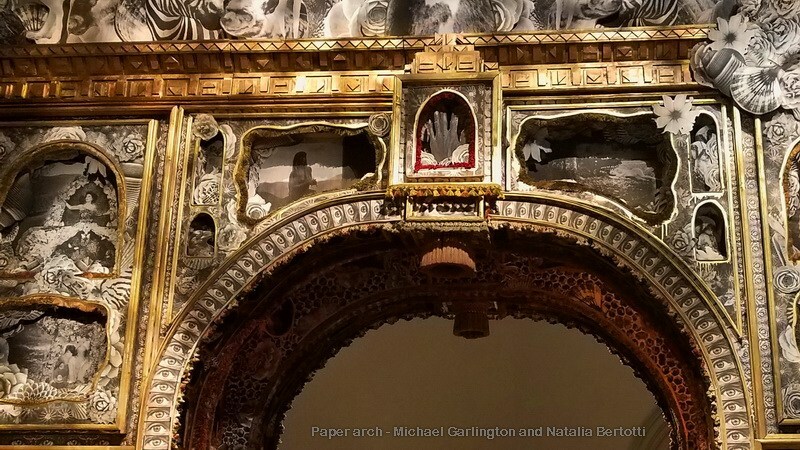 Thank you so much for sharing the exhibit at the Renwick Gallery! Your photographs of some of the artwork and costumes get at least some of the feel of the event across. 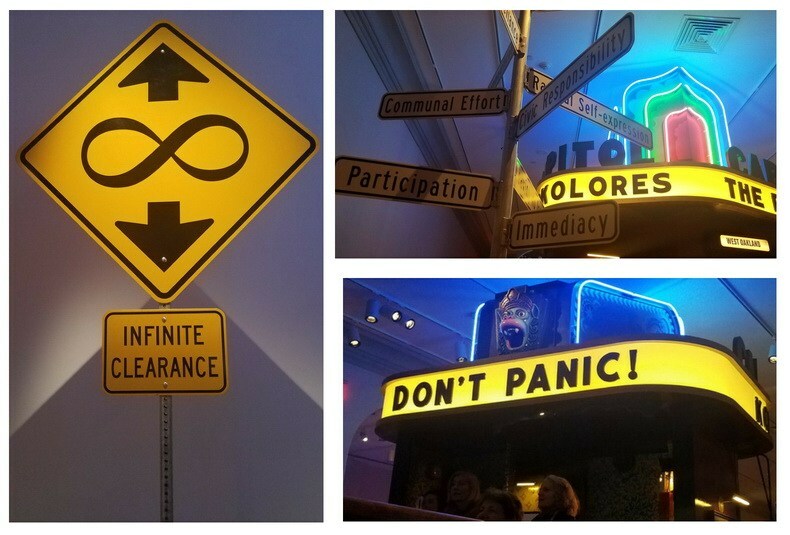 So much so that I’m wondering whether I can fit a D.C. visit in before the exhibit closes. Glad you enjoyed this, Ann. I think there are many of us Burning Man wannabes but it just doesn’t match. I hope you get to see the exhibit. I have heard about the festival but never had the chance to attend it myself. 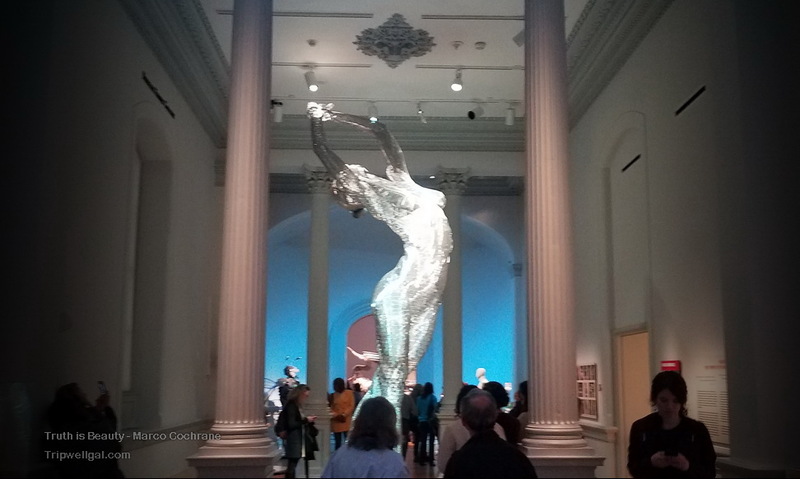 It’s great to know that you can actually visit the Smithsonian’s Renwick Gallery in D.C. to get a glimpse of the art installation. The design of The Temple is so intricate – I’m quite impressed! Thanks, Cat. The entire Burning Man experience amazes me, exhibit or festival. I guess we share that, Cathy. Thanks. Despite living in California for most of my life, I never made it out to Burning Man. Now that we live on the East Coast, it’s nice to know that we can still experience Burning Man (albeit in a different way) since the actual festival is much farther away! Like others have said, I like the message of the temple & hope to make it to DC and the Renwick Gallery before January. Thanks for sharing this post — I wouldn’t have known about it otherwise! Hi Julianne, I’m so glad you found this. Hope you get to see the show and experience a bit of Burning Man in person. 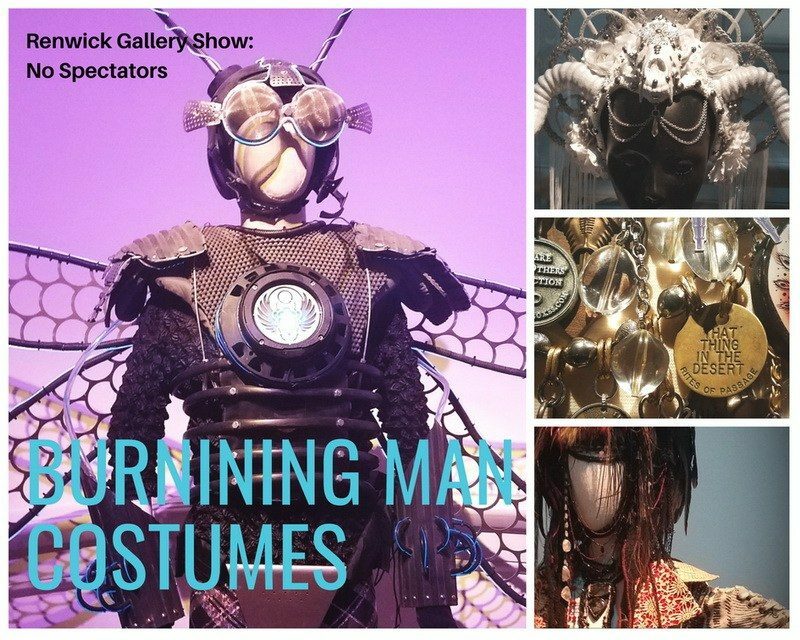 This is the first I’ve heard about the Burning Man show at the Renwick Gallery in D.C. I’d love to see it but also did enjoy your post about it. Thanks, Carole. It was filled with such wonders. The video is insane! I super love it and would like to consider it for our next trip to US! I see that it’s only until Jan 2019 – we should be applying for a visa now! It’s a mysterious thing to see and experience. Wow. Thanks so much, Katrina. I’m hoping that the show will tour but there’s no indication yet. I haven’t been to burning man but we went to Slab City / Salvation Mountain. Ed didn’t hold up to well. He had a little too much too fast and started seeing hobbits everywhere. This wasn’t bad per se but he was giggling quite a lot and speaking much too loudly. I had to evac him out before things got out of hand. 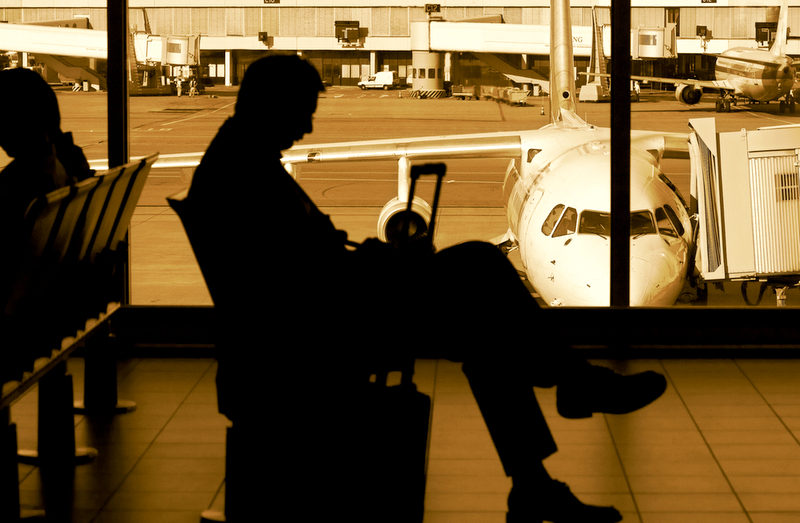 Ed is flying to DC next Monday (if he ever gets around to booking travel). I’ll show this to him and see if he wants to go check it out on the trip. Sounds like you’ve managed things (and Ed’s reactions to them) well. He’d enjoy the show in DC. 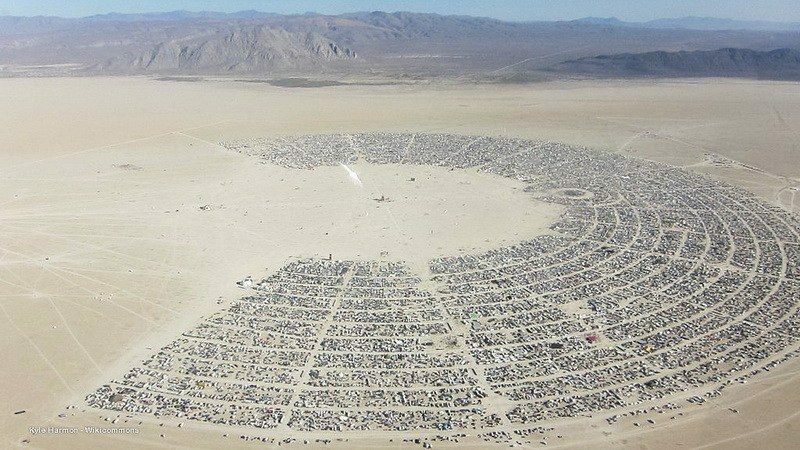 I haven’t been to Burning Man, but I’m also not a big festival person so the “from a distance” would be the way I would want to go also! If I was headed to DC I would love to visit the Renwick. 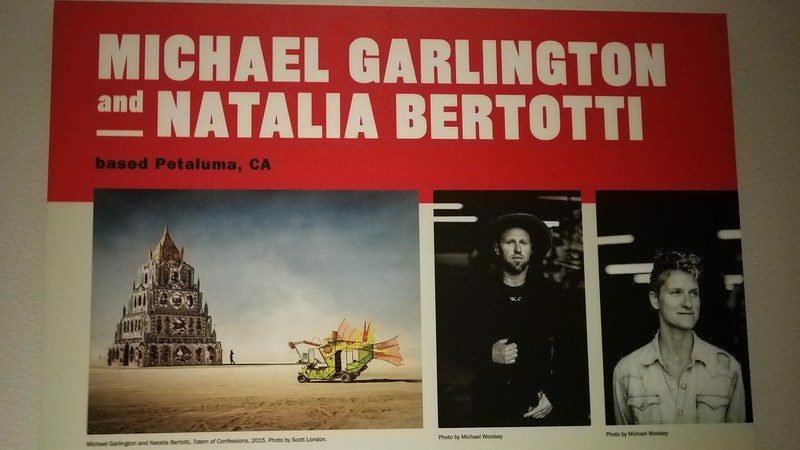 I think the exhibit at the museum is a perfect way to experience Burning Man as much as possible without actually attending. David Best’s Temple would be the most interesting to me! Thanks, Heather. There are so many of us who wouldn’t or couldn’t get to Burning Man. I loved getting just a brush of the experience in the galleries. Hopefully the show will tour. All I had ever known of Burning Man was from people’s Instagram or Facebook photos. It didn’t really seem like something that would interest me though. Just seemed a little to crazy for me. I think this version of getting to know it is more my style. I’m glad you were finally able to experience it after so long. I’m having so much fun seeing reactions to this. It’s like a subculture of Burning Man love. Thanks. It was thrilling enough for me to see the show. This is something new for me. 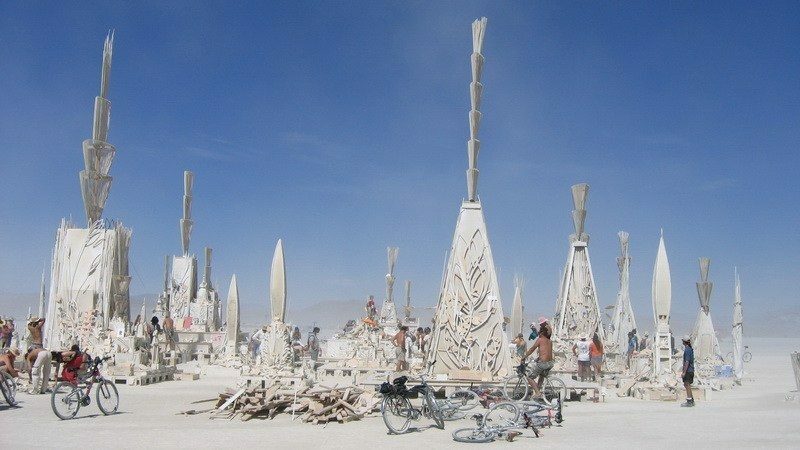 Never heard about Burning Man Art Installation and now I will also check this online. Good that you can experience Burning Man Art Installation, No Spectators, at Renwick Gallery. Rock City aerial is out of this world. Thanks for this. Thanks for dropping by Himanshu. I hope to see a bit of India next year! No, I haven’t been to Burning Man. But I have friends that have attended – it’s wild! I expect that closest I will get is the Burning Man installation at Renwick Gallery. And only if I can get to D.C. before Jan 19, 2019. Please let me know if you decide to go to the desert to meet the man! If I get to the desert for the Festival (never say never) I’ll be crowing about it! Have not been to Burning Man yet, after reading this post and see the amazing pictures of all the art installation’s, will probably head out there by the 26th, hopefully I can find someone selling tickets!! Thanks!! Go, Arvin! Let me know if you get in and make sure to pay attention to preparations. There are many suggestions on the Burning Man website. Awesome gallery! The paper arch had some really interesting details but “Truth is Beauty” is my absolute favorite! That sculpture and the way it’s lit is special to me too. Thanks, Kirstie. What a unique exhibit. I finally found out what Burning Man is all about, that annual festival in Black Rock City. It begins Aug. 26 and ends on Sept. 3. Too bad it’s 6 hours from Livermore where I will be during those days. And, it’s just too bad our travel schedule will not allow me to see this Renwick Gallery tribute, either! Perhaps you’ll be arranging a trip to next year’s festival, Carolina?! So glad you enjoyed the post. The Temple was truly touching and lovely. So much work and creativity in one place. Really liked the message of the temple. As we just said goodbye to my Grandmother, those words were comforting to rad. I like the idea of the temple being “built by many hands.” I think it would be a peaceful place to visit in person. The gallery is full of so many different experiences but that Temple was amazing. I couldn’t pick one part of the show over another. 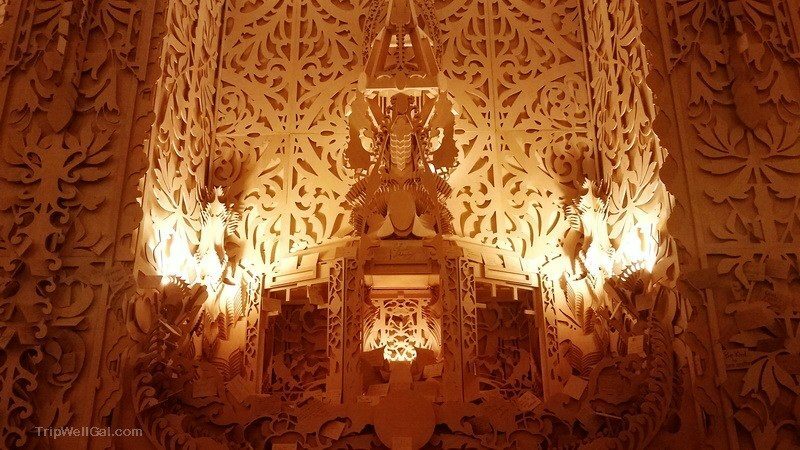 Some of these art pieces are incredibly impressive and so much work must have gone into them. Its a heaven for any art lover. Thank you, Vedante. It’s truly a joy to experience. Thx for this, Elaine. A friend of mine has been to Burning Man and loved it. But all that I have seen of it is what is on their website. It’s intriguing to learn there is this exit about Burning Man in DC. I have reason to go to DC and may just raise its place on my list! I’m tickled to hear that you’ll be going to DC and might see the show. Let me know what you think. I didn’t even know this existed (and I was just reading about Burning Man today, too!). I kind of want to go to the festival. However, I’m not sure I have the energy for it haha! 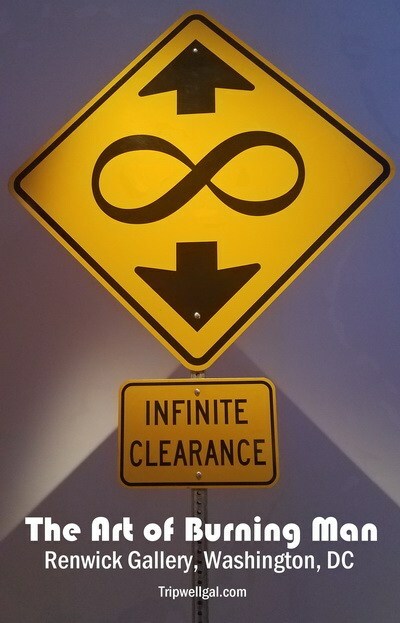 The art installation might be more my speed. It does take some doing to get to the event. There are smaller Burner groups around the world who support and create together. Perhaps you’ll find one of them in your area? How interesting that you found this exhibit. What a great way to “see” Burning Man festivities if you don’t actually go. I’d never thought about the Man. The organizers found a good way to explain him! Thanks, Sharon. I loved this chance to encounter a small slice of the Festival. Felt almost reverential about it. Such an incredible cultural experience. This seems super interesting for anyone who can’t make it to the actual event. I’d definitely visit, Burning Man has been fascinating me for some time. This aerial photo alone really blew my mind haha! Fascinating is a good word for Burning Man. It’s outrageous to look at that picture and realize how many people are involved. Must be so incredible to be there. Yes, it should be said that this is not a low-budget experience between the prep, costumes, supplies, transport and lodging plus the ticket to attend! If it came together I’d go. This was a very interesting post to read, really enjoyed it! David Best’s Temple looks so magical and sure to be an amazing experience. Thanks, Lisa. The entire show was wonderful. Wow! what a spectacle. A cool idea to put up the installations ina big city where many more people can go see them. I agree. It must’ve been a long time in planning and discussion. I’m so glad that the Festival organizers and the Smithsonian, no less, made it a more egalitarian art experience. I wish I could travel to Washington DC to see this! The Truth is Beauty statue looked really familiar – I did a little research and apparently it was stationed at San Francisco’s Treasure Island (and I passed by it a few times and didn’t realize it!). Also, David Best’s Temple – all I can say is, wow! Such attention to detail. It must be even better in person! I didn’t know about SF having the statue. The image has become iconic. Hopefully, the entire exhibit will tour as well. The costumes I’ve seen in the past have been really creative. I didn’t realise the burning man festival was that far into the desert to have sand storms to contend with. Really inspiring. I’ve always loved the costumes and the images that have been published. It’s inspiring that so many have attended. Must be something that’s lost in translation for those of us on the outside looking in. Thanks, Mark. I’m sure the exhibit falls short to the experience but still so glad that this portion is more accessible for the rest of us. You’ll start seeing pictures and reports on the Festival soon. 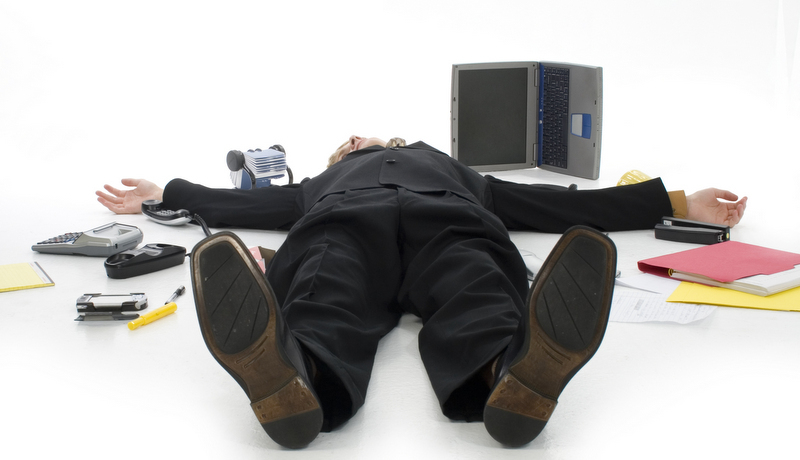 Great post, I am exhausted just reading it. 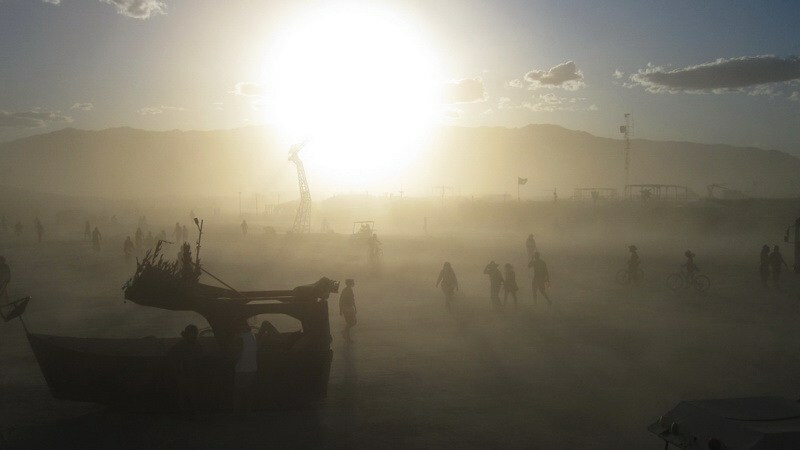 I still have not fully grasped Burning Man and doubt I will ever make it but I love the idea of it and also making it accessible to those who cannot attend. 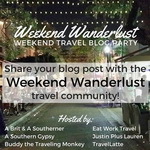 Thank you for sharing on #Theweeklypostcard! Hi Carolyn, I’m glad you enjoyed the post. It’s probably not possible to fully grasp the event whether we were there or just seeing the gallery. It’s multi-faceted and personal. I too just love the idea that it exists. That’s by far the coolest festival I have read about in a long time. Loved the creativity ranging from the temple setup to the giant statues and even the signboards! Absolutely awesome. Would dearly love to check it out sometime! Thanks, Sreekar. 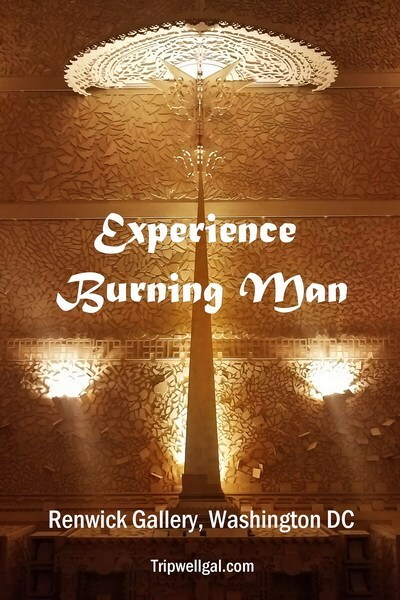 I’m glad you enjoyed this little Burning Man encounter. I never heard of this exhibit before, but it sounds amazing. I’d want to check it out if I had an opportunity. Hope you enjoyed the introduction. Thanks for stopping by.